Only a few months into their marriage and everything seems grand. Learning to survive her marriage to Jay without the snarkiness Cindy has come to rely on is daunting to say the least. The Sugar Ticket chronicles the marital journey of two twice-divorced adults learning to accept and embrace the sweetness of their present. When the inevitable complications arise, will the DeMatteo’s gently overcome their obstacles by alleviating the sour taste of the past? Will their third attempt at matrimony flourish? Or will they sweep their issues under the proverbial taboo-topic carpet? Find out how these two mid-life adolescents meet their daily tribulations head on, as they conquer their fears, retirement woes, secrets revealed, and the most fundamental challenge of all: remaining in love forever. 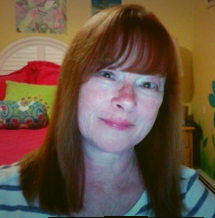 Susan Jean Riccci I've been writing since I was a wee child and discovered crayons weren't part of a food group. My sometimes controversial rants have appeared in my local newspaper, the Asbury Park Press, and I've won several awards via the Writer's Digest 78th Annual Writer's Contest and the Philadelphia Writer's Conference. Over the years, I've been fortunate enough to publish in Parenting Teens Magazine, Good Dog Magazine, and Aim Intercultural Magazine. 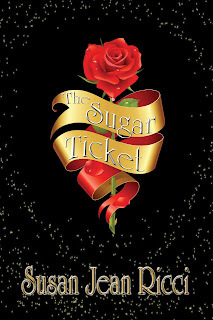 I'm currently concluding the sequel to Dinosaurs and Cherry Stems, The Sugar Ticket. Then I will move on to revising a contemporary novel called, Slick Trespass My current release, Dinosaurs & Cherry Stems, is a humorous, contemporary romance about achieving mid-life adolescence, in spite of the baggage incurred with one's history. My eBook, Heart Marks the Spot: Three Short Stories can also be found on Amazon for Kindle as well. My husband, Joseph, and I live in a lovely town in New Jersey near the sea. Together we have seven children and nine grandchildren.